You care about your lawn and how it looks, and having a healthy beautiful property is a priority. Maybe you’ve hired a pro and haven’t gotten the results you expected. Or maybe you decided to take on the work yourself and realized the effort that goes into getting the best lawn on the block can mean sacrificing your free time—and maybe even feeling frustrated that your efforts aren’t yielding the results you hoped for. You’d like to hire a great professional to help you care for your lawn, and there are a number of local lawn care services in Lewisville, TX. This decision is a big deal because we’re not just talking about improving curb appeal—but also removing a point of stress in your life so you can focus on other priorities. So, you want to recruit a professional lawn care company that will do the job right. 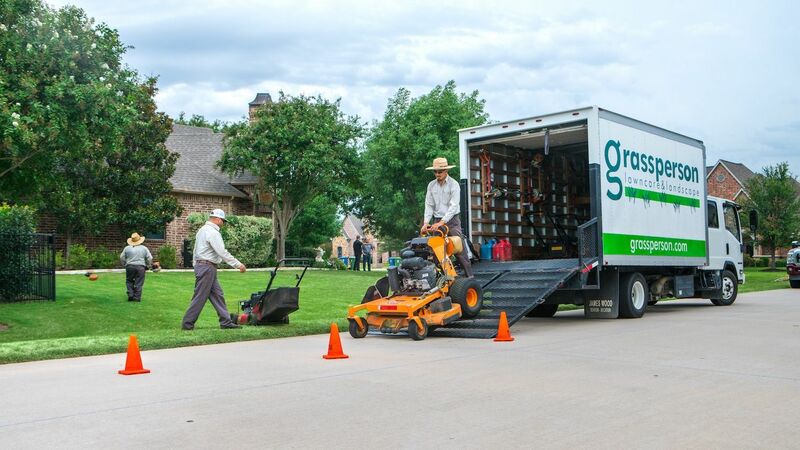 Selecting a professional lawn care company can feel stressful because you want to make the best choice, and there are plenty of options in Denton and Collin counties, TX. To make a wise decision, you must do your research. 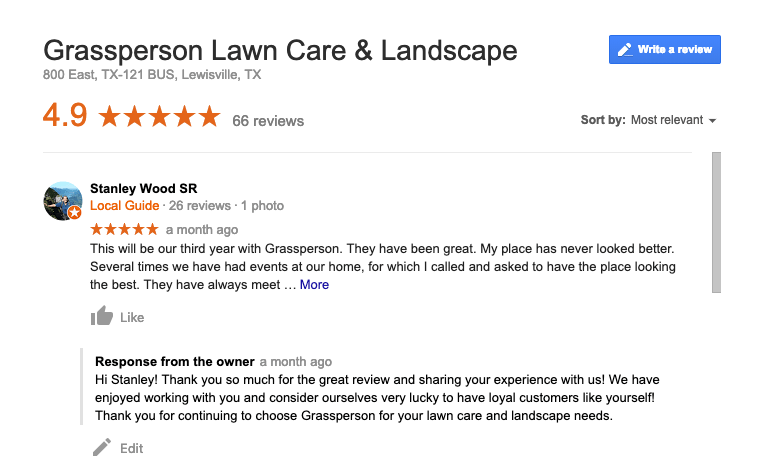 Here’s a candid comparison of two local lawn care companies in Lewisville, TX: Grassperson and Weedex Lawn Care. 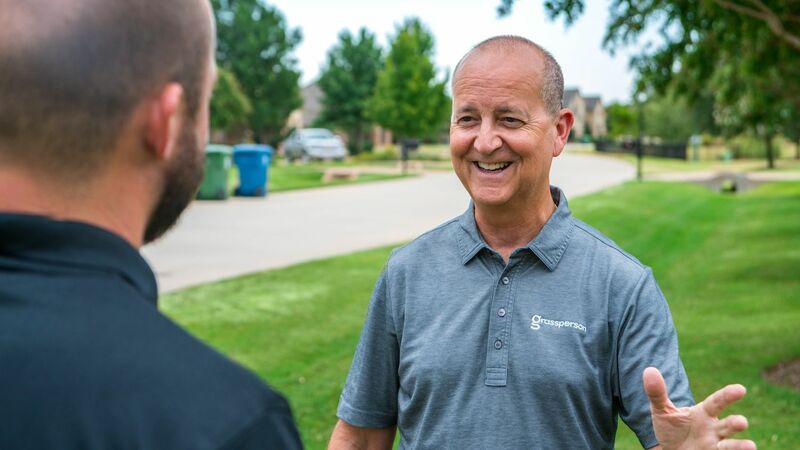 I’m Jack Moore, owner of Grassperson, and I’d like to help you understand what qualities to look for in a lawn care company so you can make the best decision for your property. That’s why I’m taking some time here to organize key information and facts you should know about two local lawn care services in Lewisville, TX so you can get to know them better. Then, you can compare them fairly and you’ll be better equipped to make the best choice for you. You want to know what type of operation you’re hiring to take care of your lawn, so take some time to check into companies’ backgrounds. What makes them tick? What do they stand for? I think history is important because it shapes the company’s culture, and you can trust that the business will be there to take care of you for the long-term. Family is the core of everything at Grassperson. We were founded by Brian Gasperson, who is well-known and respected in the community. My wife, Ann, and I took over ownership in 2017 and we’re carrying on the people-first values. We don’t keep that a secret—you’ll learn about our culture and why our people are special on the About Us page of our website. 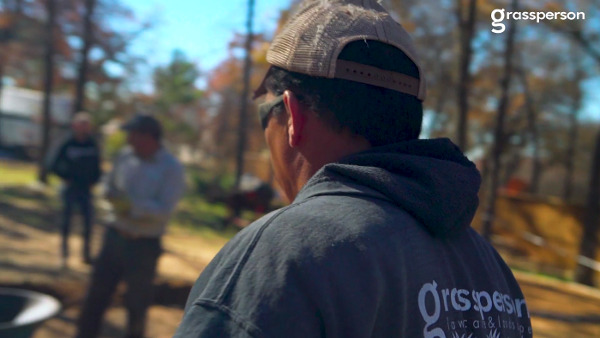 As you compare lawn care companies, if you have a tough time finding out who is on the team and what the owner is all about, ask yourself, “Why?” (We don’t think this stuff should be a secret.) Does the company showcase real pictures of its owner and crew members? Or, do you see lots of stock photography—a possible indication of turnover? People are the most important aspect of a service business such as lawn care because you are entrusting your lawn to a team. You want to know that they care about your property as much as you do. How can you figure that out? See if you can find insight about careers at the company. What type of people do they hire, and do they showcase their employees and give them credit for their hard work? These are indications that people matter. And, happy people tend to do a better job at their work. You are looking for a lawn care company to keep your grass healthy and beautiful, but it’s also nice to know that a professional can do more than apply fertilizer and weed control. 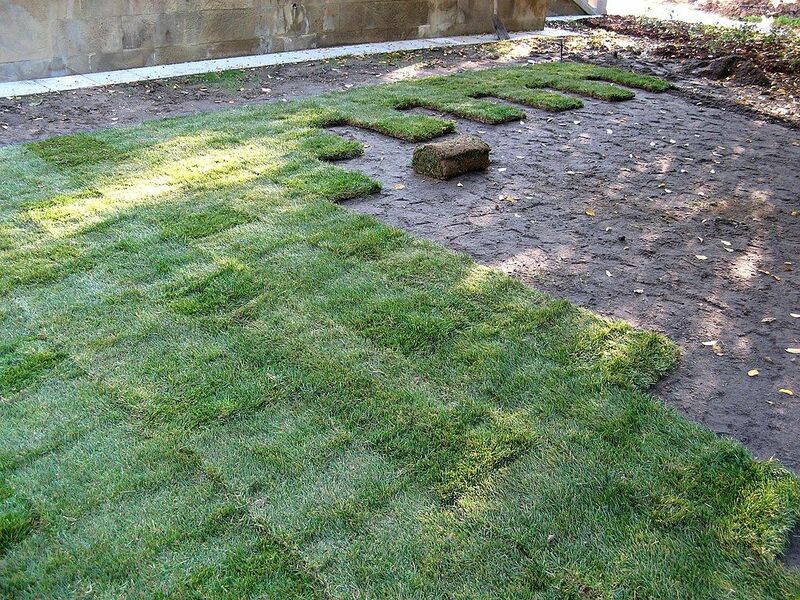 Determine whether the lawn care company also offers landscaping services like mowing, pruning, mulching and planting. Down the road, you might be glad the company you hire has these capabilities because you can win back lots of time. It’s nice to have flexibility. 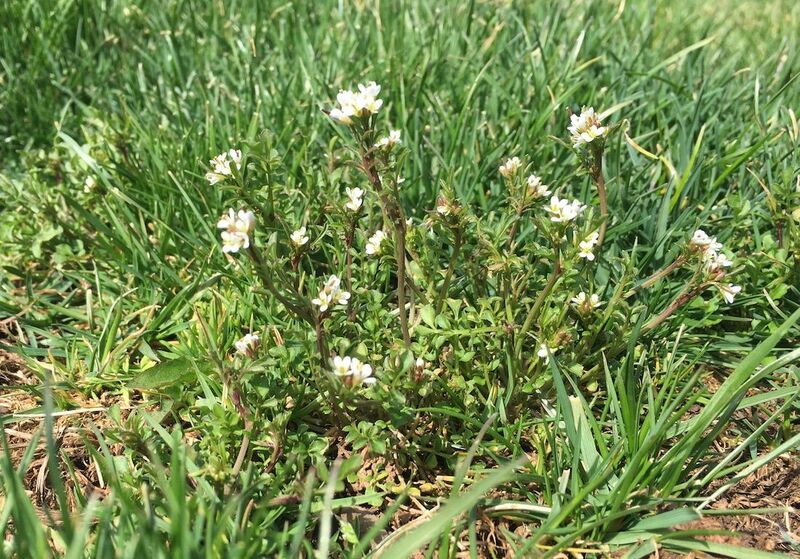 Lawn Care Only or Full-Service Maintenance? 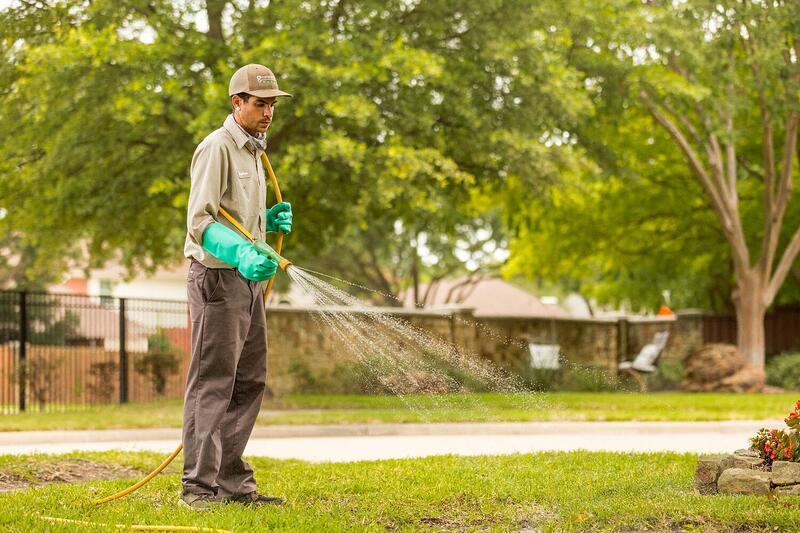 Weedex Lawn Care in Lewisville, TX offers lawn care service programs for weed control and fertilization. The company offers one program option that includes 8 visits. At Grassperson, we provide a 7-step year-long lawn care program, or you can choose a second program that includes lawn care and mowing. 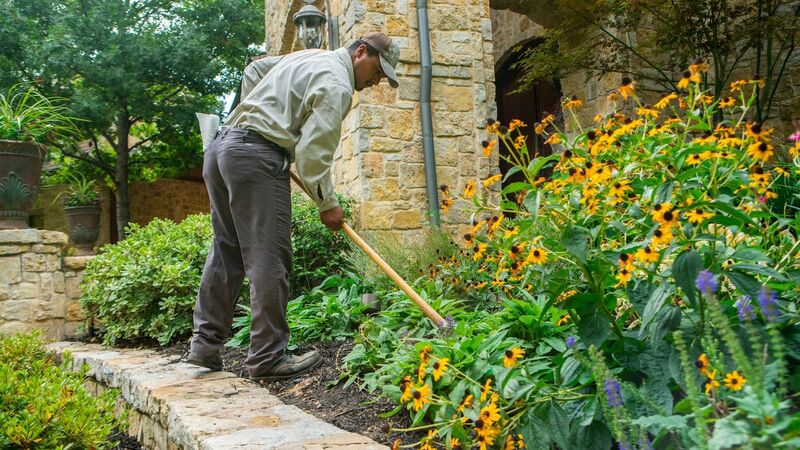 A third total maintenance package is turn-key and is designed so our pros take care of everything from fertilization, to mowing, to maintaining your landscape, along with irrigation assessments. Both Weedex Lawn Care and Grassperson offer a year-round approach to treating your grass for common issues, which is what you want. However, you can get some flexibility with choosing additional services when you select a full-service lawn care and landscape maintenance provider like Grassperson. It all depends on what you are looking for in a company. To choose the right lawn care company for your needs, take a close look at what a company’s lawn care program actually includes. What services will lawn care technicians perform when they visit your property? 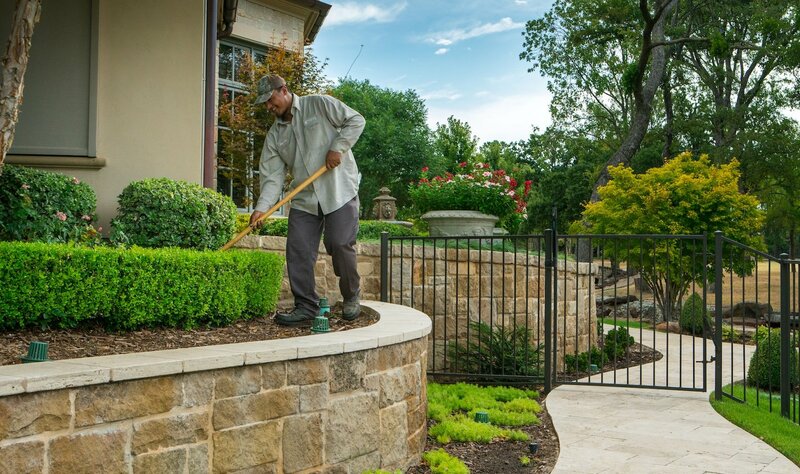 From our 20 years of experience caring for lawns in Flower Mound, Highland Village, and Denton and Collin counties, TX, we’ve figured out exactly what a lawn needs to stay healthy and look great. And, all of this depends on the type of grass growing on your property. Online ratings are available for just about any business you can imagine, so we know many people look at these ratings when deciding which service providers to choose. Weedex seems to have a fairly strong online rating, which indicates they’re doing something right. I don’t often see that when reviewing our competitors, and I’m not afraid to give credit where it’s due. I wish more local lawn care companies delivered this kind of service experience. Beyond the overall Facebook and Google reviews and rating, take some time to read the individual comments on reviews. 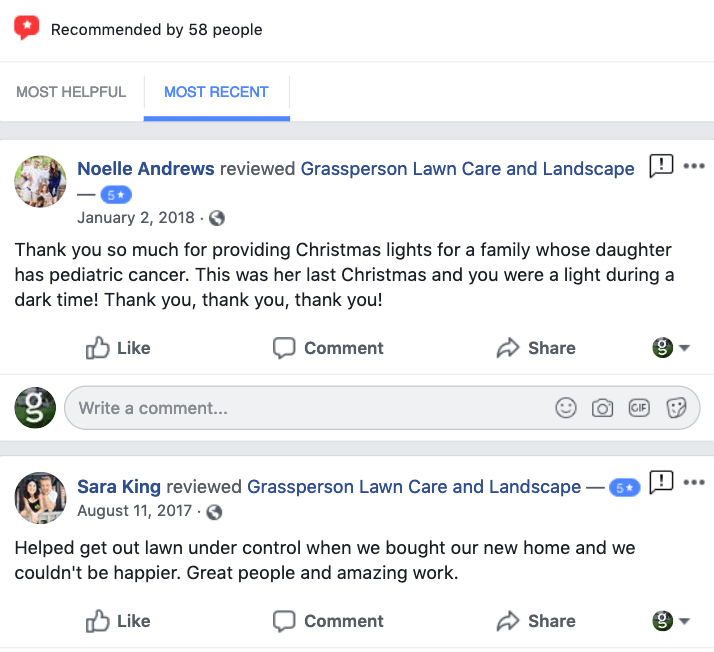 It can tell a lot of how the lawn care company responds to both good and bad reviews. Of course, you can’t trust every good or bad review on the Internet—but if you notice a trend of poor reviews and a lack of response, that’s an indication that service could be inconsistent. Another way to gauge quality is by the awards a company wins. Grassperson is the current champion, a six-time winner of The Best of Denton County. 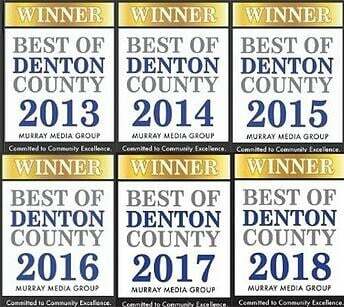 Weedex Lawn Care, Lewisville, TX was 2016 Best Pick Reports Certified and has a 2014 Angie’s List Super Service award. A big reason why people like to hire locally owned and operated companies is because their invested in the community. Their owners and employees live, work and play in the same neighborhoods you do. So, there tends to be a deeper commitment to making sure you’re really satisfied. Now, there are plenty of large, national lawn care companies in our area that offer similar programs. But the local difference is having a provider on your property that understands your needs. When companies stretch themselves too thin, they can lose that local touch. So, find out the service area of a lawn care company. Weedex appears to cover a much larger service area than Grassperson. The company has a larger footprint, but you might want a company that sticks to Denton and Collin counties, TX rather than focusing on half of the Dallas/Fort Worth metroplex. As an educated consumer who is investing time in doing legwork before hiring a lawn care company, you gathered the resources to make the best decision for your lawn. 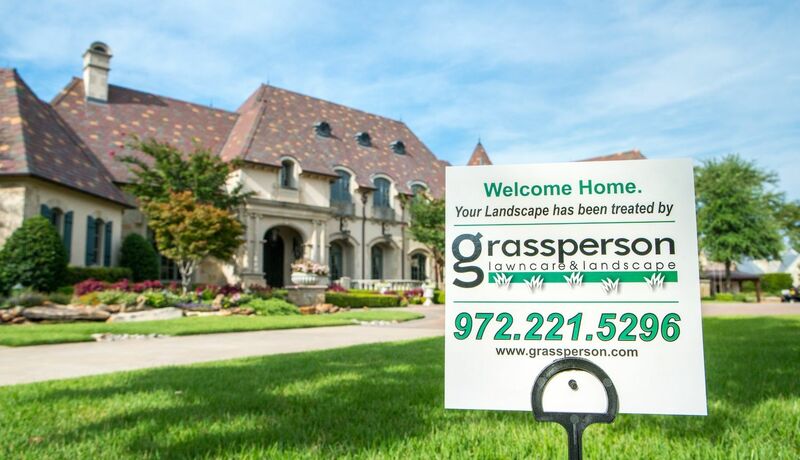 Both Grassperson and Weedex Lawn Care in Lewisville, TX are local companies that offer year-round lawn care programs, and both are great options to consider. But as you’ve gotten to know the local lawn care companies better, you’ll have things that are more important to you—for example, the people or maybe the flexibility of a full-service provider. Everyone’s looking for something different, so that’s why getting the facts is crucial. Then, you can confidently choose a lawn care service for your Lewisville, Highland Village or Flower Mound, TX property. We want you to have the best lawn on the block. We’d be honored if you joined the 2,000+ Grassperson clients that decided our company was a great option. But if Weedex is your choice, we wish you the best. Ultimately, what is most important to us is that you feel confident about your decision, and we hope this fair comparison helps. Seriously, get the lawn you deserve. Now that you have honest details to compare local lawn care companies, you can stop doing all the work and hire a professional you trust. Get a free quote and $25 off your first visit, then enjoy the best lawn possible.